FOP attorney James Brantley presents the union’s case to the city commission. The turnout at Gainesville City Hall supporting the Fraternal Order of Police required live feeds of the City Commission meeting be shown on TVs in the lobby and throughout the basement. A conference room in the basement of City Hall was among the locations designated for overflow seating during the public comment portion of the hearing. 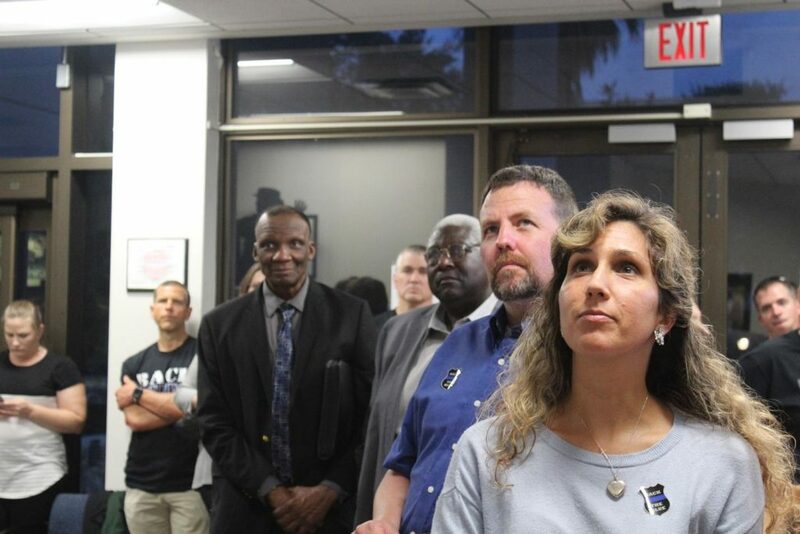 From Police Chief Tony Jones to longtime residents to people who encounter police officers as part of their work, for two hours Friday evening they lobbied the commission to side with FOP Gator Lodge 67 in the nearly two-year contract negotiations impasse. After presentations from representatives of the union and city management as well as the extensive public comment, the commission voted 4-3 to change officer’s work schedules and implement a one-time payment of $800 combined with a flat-rate wage increase every year. The increase would amount to a total of 6 percent over the contract period, 2016-19. That meant that the commission sided with the city management on the key issues of wages and hours of work. 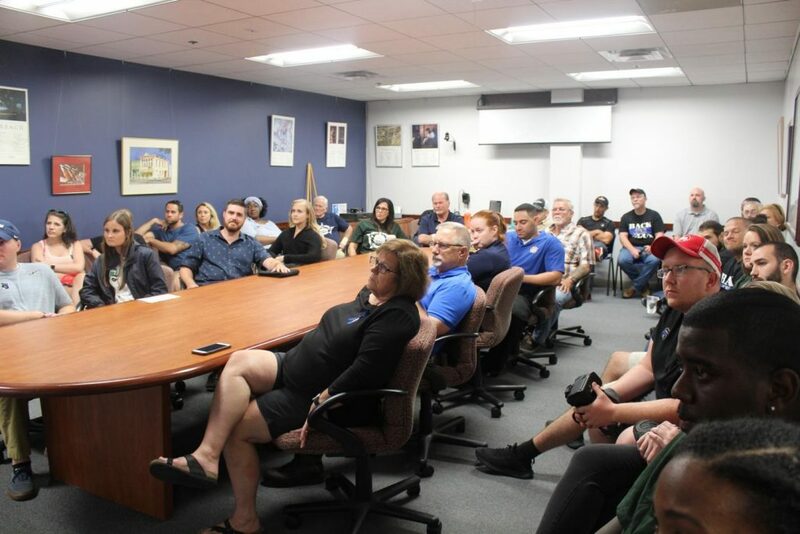 It in particular decided against creating, as the union wanted, a step plan corresponding to years of service and a salary increase of about 2 percent per step. 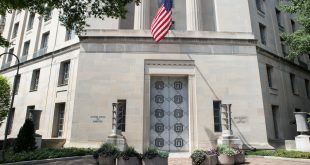 However, the commission endorsed the FOP’s proposal concerning overtime and benefits, as well as offering clothing allowances each year of the contract. Mayor Lauren Poe and Commissioner Adrian Hayes-Santos, Helen Warren and David Arreola sided with city management. Commissioners Gail Johnson, Harvey Ward and Gigi Simmons voted against it. The meeting lasted about 10 hours. Jamie Saunders, 32, a therapist at Child Advocacy Center on University Avenue, said she has a deep connection with police by working with children who are victims of trauma and abuse. Jamie Saunders (right) watches with other interested parties in the Gainesville City Hall lobby a live feed of citizens telling the city commission their views on the police contract impasse. Police Lt. Mike Schibuola told the commission that management saying crime was down during its presentation was untrue. He also said that staffing in the department is a problem. 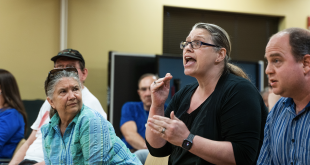 Jill Nash, a Gainesville resident since 1979, cited the events in her life when she needed the police, and then urged the commission to exceed what the FOP had requested. 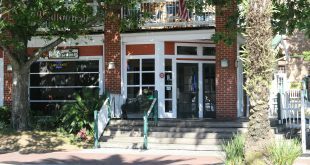 After the vote, Dejeon Cain, a former candidate for the city commission who was once a technician for the University of Florida Police Department, said he believed that the union had made some progress, but that the message was lost. “I felt the outcome was moving us somewhere, but I really think our city commission doesn’t get it,” Cain said.